Drawing is a compulsive activity. Making our mark on a surface using an implement seems to be an inborn need. Drawing is neither limited to any one technique nor restrained by any one material. It’s an energy that flows through the body and touches the outside world. The energy can be soft and light or as savage as a metal cutter carving in a line of cement. 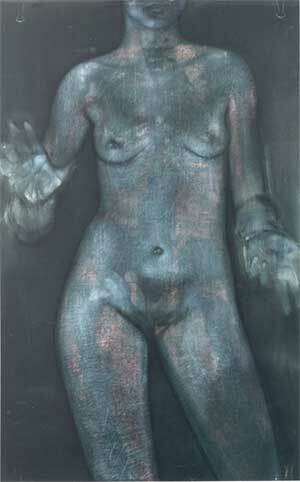 Prior to 1994 the works acquired from the JADA were selected without nominating an overall winner. Since 1994 however, a winner has been selected and various other works have been acquired. This exhibition showcases all of the winners for the last 20 years and also the acquisitions from the 2014 JADA. The works in this exhibition represent the remarkably high standard of the gallery’s growing contemporary Australian drawing collection.